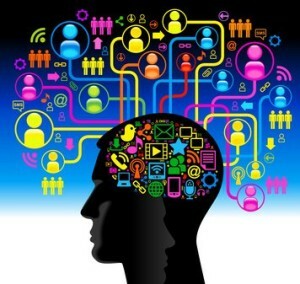 Media psychology is the field that defines and explains the implications of technology. In short, it is the study about influence of media on human behavior as information technologies infiltrate into every aspects of our lives. This newly created field focuses on understanding the impact of media technology on social cognitive behavior of humans and their emotions. As the technology evolves and changes on a continuous basis, so is the cognitive behavior of people. The ultimate goal is to recognize these changes and adapt new behaviors accordingly. Another goal of media psychology is to accurately portray the psychologists who deliver information and therapy over various media platforms. Ethical issues are always of concern as a large part of the population still thinks that psychological topics should be discussed in the privacy of the doctor’s office. The field is relatively new and faces many challenges, including the methods of delivery. This branch of psychology has its foundation in communication studies, sociology, advertising and marketing. Most of all, technology is the major factor why media and psychology were combined into one distinctive area of study. Large parts of the early media-related studies were focused on negative impacts of media. Over the years, the researchers have begun to explore the positive influence as well. The media may serve as a venue to form social bonds in virtual reality leading to positive psychological outcome. Therapeutic components have also been noted as the media now offers a variety of programs and information helpful in understanding numerous issues such as health problems, family-related topics, education and advice on virtually any subject. Academic scholars are closely monitoring the integration of both positive and negative media influences. Many studies have been conducted in efforts to understand how media can be used for education, community building and social interactions. Although historically the research was concentrated on content-related issues, such as gaming violence or consumer manipulation, numerous researchers are now exploring the possibilities of positive influence of gaming in relation to skill development, social interactions and relationship building. Many professional journals now contain the information on how gaming can enhance virtual experiences. Online social networking is attracting new attention as well. A Media psychologist is the carrier of data helping both sides of the spectrum to fully understand the impact of technological evolution. A Media Psychologist may take on the role of researcher, messenger, consultant, mental health provider, or developer. Overall, they are involved with technology and media communications and their effects on users. It is important to understand that media technologies vary by culture, location and the present demand. Researchers representing different fields carry out media studies with a foundation in psychology. Combining the two disciplines allows the field of media psychology to develop continuously. Ever expanding interdisciplinary reach allows both practitioners and researchers to be involved in new developments and their applications to different societies and populations.